Did you celebrate an engagement on Valentine’s day or are you planning to propose this spring? Either way, you’re probably showing an interest in all things diamond-related! Buying a diamond engagement ring is going to be one of the most substantial purchases you ever make, so how do you invest sensibly and ensure you get a good deal? Well, here’s the Woodhall Manor guide to buying a diamond to tell you everything you need to know. Cut is quite simply the sparkle factor! The quality of cut is hugely important in terms of sparkle, so much so that even a diamond with a high colour and clarity grading can appear dull and lifeless if it has a poor cut. A well-cut stone let’s light out from the top face of the diamond (known as the table) which creates a sparkly effect. If the cut is shallow, the light gets lost out of the bottom of the stone, and if it’s cut too deep, all the sparkliness is lost from the sides. A certified diamond comes with documentation that confirms the quality of cut, but if you’re buying an uncertified stone, ask the jeweller to provide written confirmation of the stone’s characteristics for you so you know exactly what you’re buying. Cut also refers to the shape of the diamond. 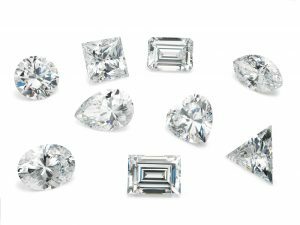 The classic round cut diamond is the most popular and recognised shape, but there are lots of other shapes to choose from including oval, heart, pear, princess, radiant, cushion and emerald cut. 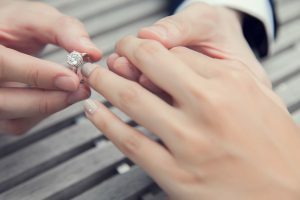 If you’re looking to purchase an engagement ring as a surprise for your other half, you should try and find out if she has a preference for diamond shape to help steer your purchase. This is probably the simplest of the 4 C’s to understand as it is the visible colour attributed to a stone, and rated from D through to Z. The purest, whitest diamond colour grade is D which is known as ‘absolutely colourless’ and these are the rarest diamonds. Those graded as E-F are ‘colourless’ and G-J rated diamonds are ‘near colourless’. Stones that are rated from J through to Z are noticeably coloured and are much less desirable as their yellowy tones are clearly visible to the naked eye. On the upside, stones that are more yellowy are less expensive than their colourless and rarer counterparts, and some people will be happy to forgo the quality of colour in favour of a larger looking stone. Clarity denotes the number of imperfections found within a stone. A stone rated as ‘FL’ is considered to be flawless whereas an I3 stone at the other end of the clarity scale, is heavily ‘included’ meaning it has lots of blemishes that are visible to the naked eye. Stones classed as VVS1 or 2 and VS1 or 2 have inclusions but these are usually only visible through a jeweller’s loupe. The fewer blemishes that a stone has, the more pricey it becomes. Most people are familiar with the term ‘carat’ but this characteristic is often misunderstood with many believing carat denotes the visible size of a stone. In fact, carat actually denotes the weight of a diamond, so depending on the way it’s cut, a stone can appear larger or smaller than another stone of exactly the same weight. When a stone is set within a ring, the visible face (table) is what you see, and is not necessarily representative of the weight of the stone. 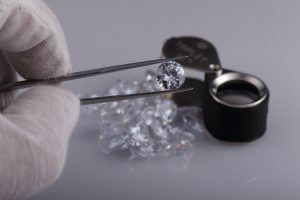 If a stone is bottom heavy, the face of it may well appear relatively small so it doesn’t automatically follow that a 0.75 carat stone will appear larger than a 0.50 carat stone. If you’re set on buying a 1 carat stone, it’s worth bearing in mind that a stone of 0.95 carats will almost certainly look as large as many 1 carat diamonds, but will cost much less, as prices step up significantly for whole carats. When looking for a good deal, it’s easy to be swayed by an online jeweller who appears to offer reasonable prices compared to high street jewellers, but is it a good idea to make such a significant investment, unseen? Online jewellers and diamond dealers are great for research, but if this is your first diamond purchase, we recommend you visit some jewellers in person, to appreciate the nuances of buying diamonds, and see exactly what you’re purchasing.  If you’re absolutely set on buying online to make a saving, then make sure you buy from a reputable company and only buy a stone that comes with independent certification from EGL, HRD or GIA. Check the delivery terms and also, if the stone is coming from abroad, make sure you consider whether you’ll need to pay any additional tax or duty fees when the stone is delivered to you. Those canny folk over at De Beers would insist you need to invest two month’s salary in an engagement ring, but we say that they have a near monopoly on all diamond sales, so have a vested interest in people purchasing expensive diamonds! Spend what you feel comfortable with. It’s a significant purchase and should feel as such, with perhaps a bit of an ‘ouch’ factor! Make sure you’re happy, and your other half is going to be happy wearing this ring for the rest of their life. Consider what’s important to you – a bigger stone or purer quality? Whatever happens, you need to feel comfortable with your purchase decision. So, now you’re fully armed and ready to make an educated diamond purchase, the next step is planning your dream wedding. For heaps of advice and inspiration, why not talk to our fabulous wedding planners at Woodhall Manor. While you’re at it, why not arrange a private tour of our stunning country manor house? Give us a call on 01394 411 288 or email info@woodhallmanor.com to find out more.